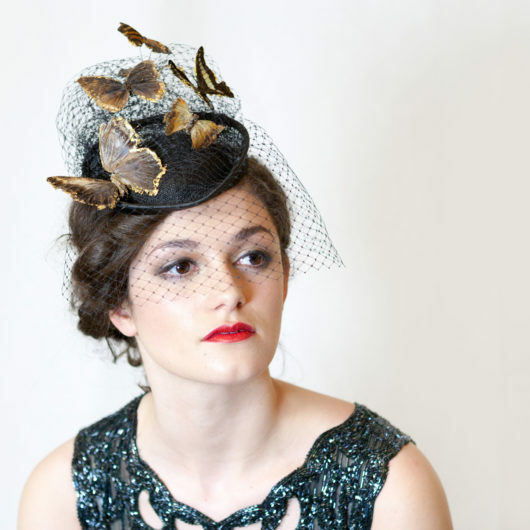 Is is a truly unique bridal hat, as there are real butterflies nestled in the flower, which have been preserved and strengthened and finally backed with gold leaf. 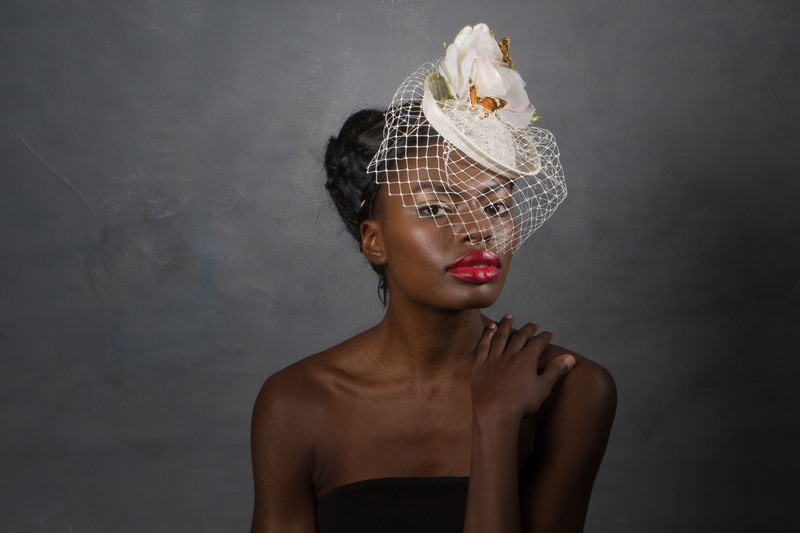 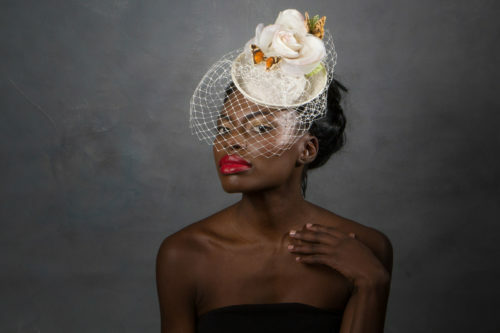 Mounted on a sinamay hat base with birdcage veil and fabric flower. 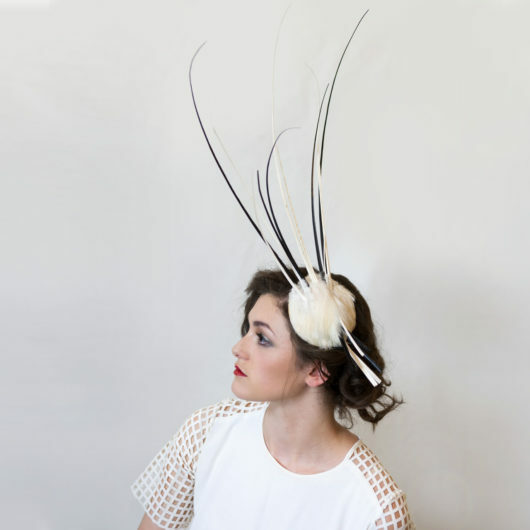 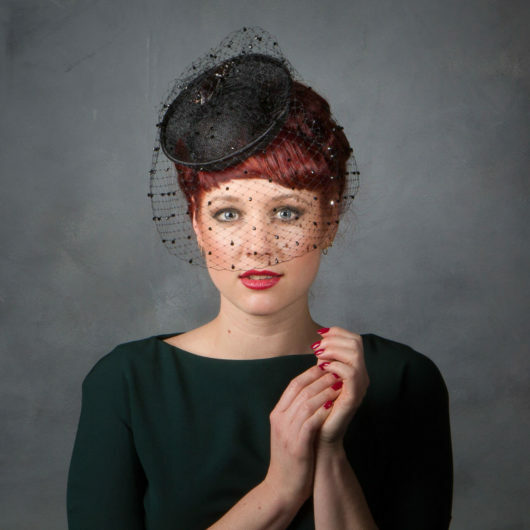 Fitted with millinery elastic, one size fits all.